It has been a while since I have posted a soup recipe. It is not because I haven't been cooking soups (I cook soups at least twice a week), but mainly because I have been experimenting with soups and didn't want to post something I wouldn't make again. 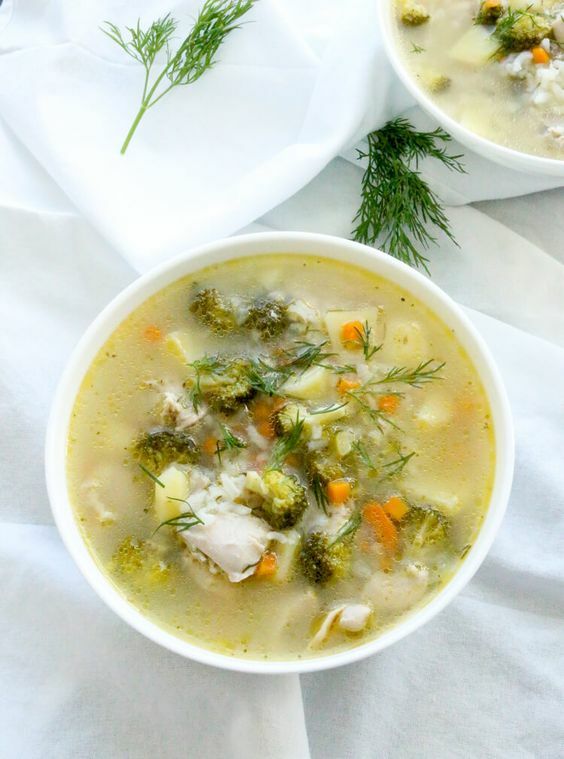 My whole family enjoyed this chicken, rice, and vegetable soup even on this hot summer day. It has a good amount of vegetables and protein but is nice and light in flavor. In a medium size soup pot, bring 8 cups of water to a boil. Add in 1 teaspoon salt, chicken, and potatoes, then cook on medium heat until potatoes are soft. In a skillet, heat up 2 Tablespoons olive oil. Add in onion; sauté for 3 minutes or until the onion begins to soften. Add carrots to the onion and cook for another minute. Set aside. When the potatoes and meat are cooked, add the onion and carrots to the soup pot along with the broccoli and cooked rice. Bring the soup to a boil, then turn off heat.